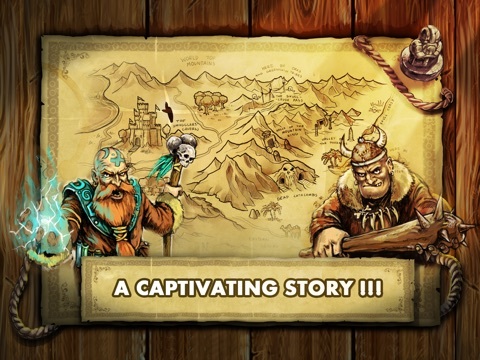 ***NOTE: Compatible with iPad2, iPad mini and up, and iPhone 4S and up - WILL NOT RUN ON EARLIER DEVICES*** 300 Dwarves is a tale of an epic dwarven mercenary band. Their axes are for hire to anyone willing to pay in gold or treasure. The once peaceful kingdom was attacked by the green horde and it was up to the gamer, the Leader, to prepare its defense. This began an epic journey in order to save the world from the green menace! Users are a dwarven commander, leading the band into battle. The choices you make will now decide whether your dwarves make it or not. 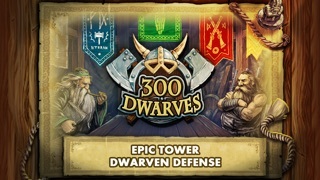 As an old dwarven proverb says: “What is better than a big axe?” “Even a bigger axe!” 300 Dwarves features five unique towers with upgrades. In addition to that, the commander can use special powers like: artillery barrage, battle horn or even power of the rune magic. 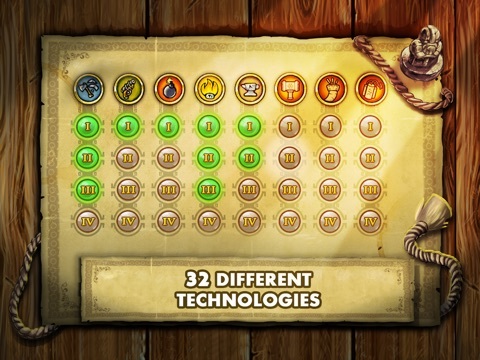 To provide non-linear progression of the game, the player can achieve skill point counts in the game as treasures, which can be spent as upgrades on skill tree. 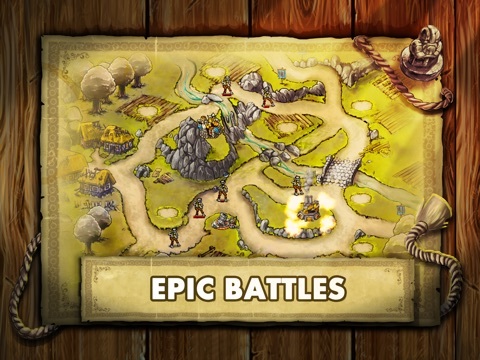 You will travel through diverse lands of the kingdom and face different enemies ranging from small green goblins, through a whole menagerie of creatures. 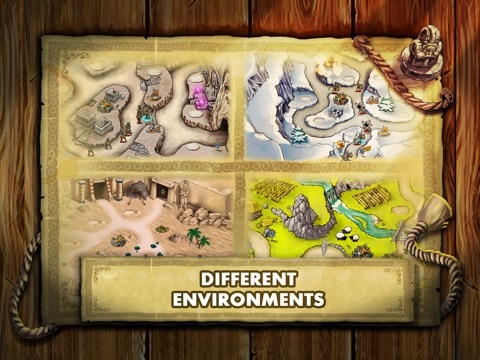 Game Features: 12 beautiful, hand drawn levels! 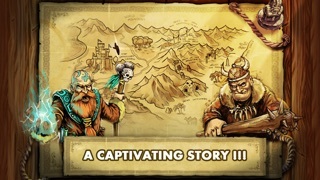 Captivating epic story! 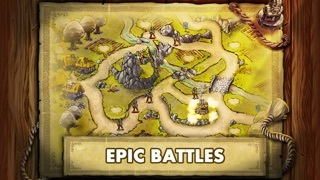 5 unique tower types! 3 special powers! 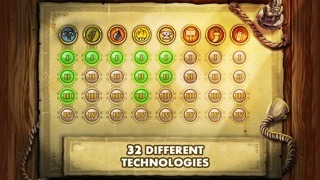 32 different dwarven technologies to upgrade your defences! 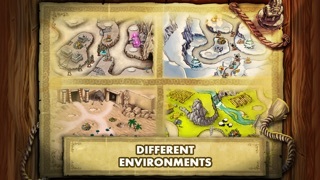 Multitude of enemies and different environments! 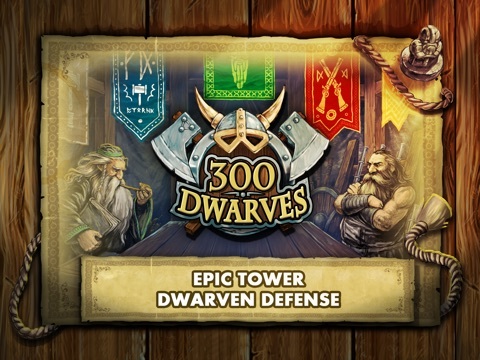 **** NOTE: Compatible with iPad2, iPad mini and up, and iPhone 4S and up - WILL NOT RUN ON EARLIER DEVICES **** Follow @forestmoongames on Twitter for the latest 300 Dwarves and Forest Moon Games updates!